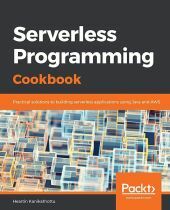 I have read tech blogs regarding Serverless Programming. Is this book releated to basic Programming or Advanced level? Regarding programming skills basic Java is good to have as AWS Lambda recipes uses Java runtime. Even though the book explains all Java setup required, the book does not teach Java. That said, most other recipes uses AWS CLI and/or cloud formation and hence are programming language independent. You can implement the APIs and flow with any programming language you prefer. And with respect to AWS, it starts from the basics and assumes no prior knowledge. Java it is.. This is cool.. Looking forward to check this cookbook.